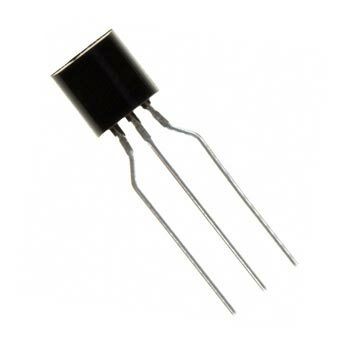 The TN0610N3-G combines vertical DMOS structure and silicon-gate manufacturing. This device has the power handling capabilities of bipolar transistors along with the high input impedance and positive temperature coefficient of MOS devices. - Low threshold - 2.0V max. Drain-to-source breakdown voltage: 100V min. Gate threshold voltage: 0.6V min. ; 2.0V max. Gate body leakage: 100nA max. On-state drain current (VGS= 5.0V, VDS= 25V): 1.2 A min. ; 2.0A typ. Static drain-to-source on-state resistance (VGS= 5.0V, ID= 750mA): 1.5 ohm typ. ; 2.0 ohm max.